Rotary District 5040 is one of two international partners for a Rotary Foundation Global Grant project to support peace in Columbia. This is a legacy from the Presidential Peacebuilding conference held in Vancouver in February 2018. The project will allow Rotarians to use their strength as conveners and community leaders to bring diverse groups of young people together. The goal is to forge relationships and provide a platform for dialog for with various peacebuilding groups. Signing the Colombian peace agreement put an end to one of the world’s longest armed conflicts, and marked the beginning of a process to build lasting, sustainable peace. Rotary can help shape this process by leveraging its networks and engaging key stakeholders to identify ways build peace at the local level. Participants will carry out action projects in their communities based on the training they received in these workshops. 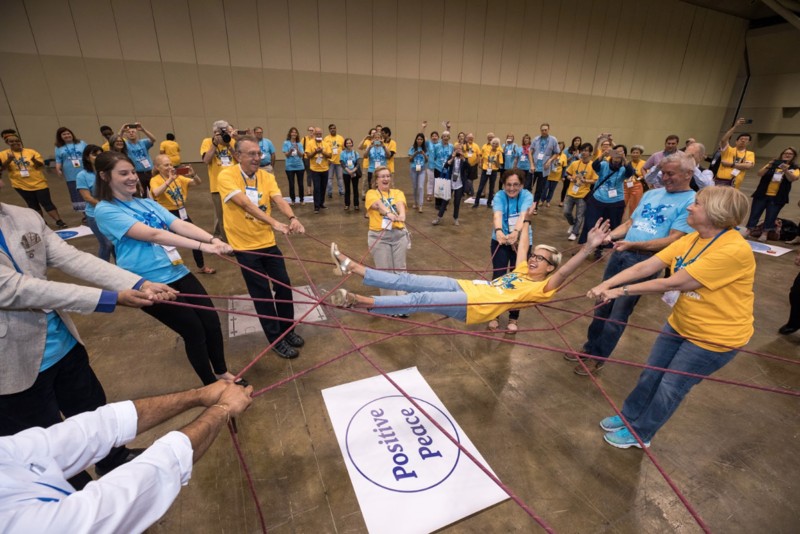 The project tackle issues of conflict dynamics based on one of more of the eight pillars of Positive Peace. By creating local interventions that bolster the pillars of Positive Peace, participants are helping to create resilient communities that are better able to manage conflict when and if it occurs. Rotarians from District 5040 may attend the workshops in Columbia as observers at their own expense and at no cost to Rotary. All workshops are in Spanish. For further information on this project please contact PDG Chris Offer chrisoffer@live.ca.